How is strand woven bamboo made? After the crushed and glued bamboo strips are loaded into the hopper, they are guided into the press. 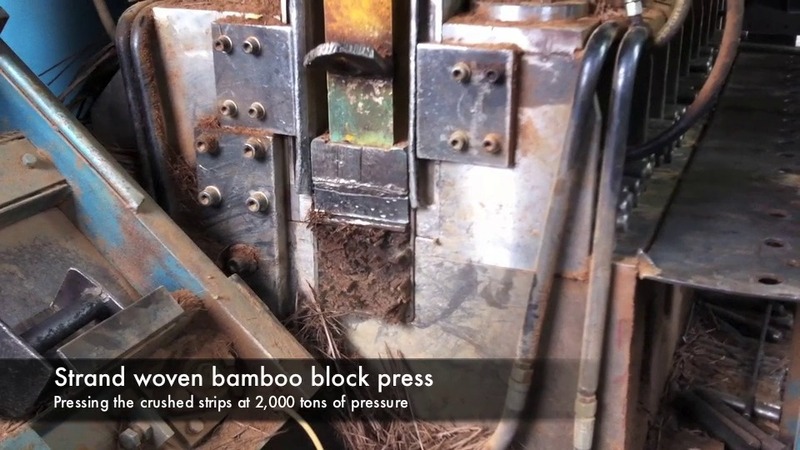 The press exerts between 2,000 kg to 3,000 kg of force down onto the bamboo. The end result is that the strips are pressed into a solid block. Listen for the loud “popping” noises as the maximum force starts to be exerted onto the bamboo. Not the place to put your fingers.